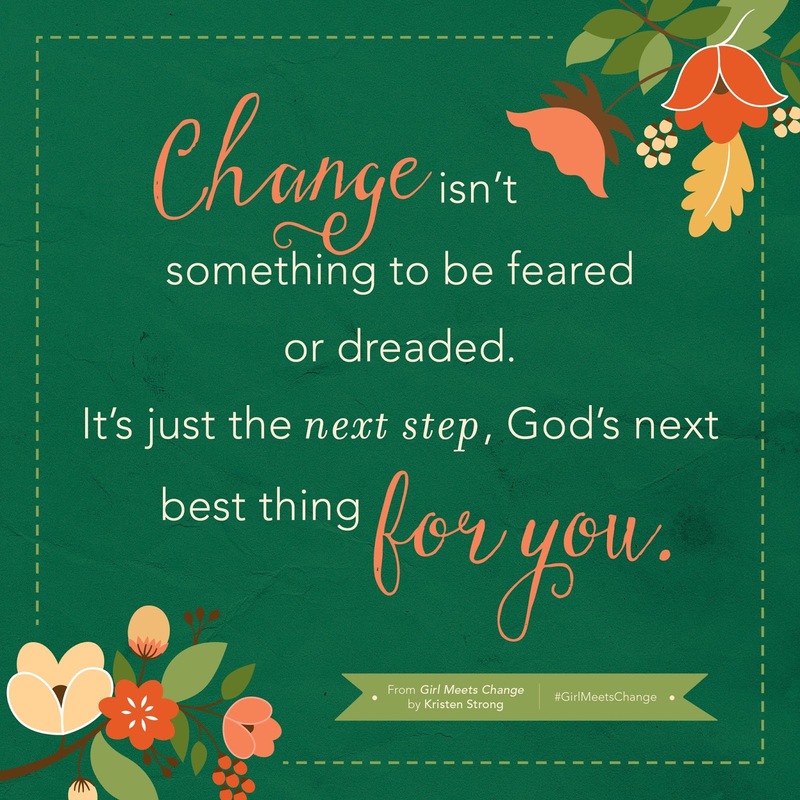 As I’ve navigated a new season that includes multiple changes in parenthood, friendships, and daily life, I’m grateful to have Kristen Strong’s “Girl Meets Change” as a companion. Her words remind me God has a purpose with the seasons we experience. This book is packed with truth, wisdom, and love that truly will help carry you through life’s transitions. I’ve typed out all the lines I underlined and paragraphs I starred because I know I’ll want to revisit these nuggets of truth and encouragement over and over again. I’ve recommended the books to friends, generally on Facebook and specifically to people as it pertains to their lives. 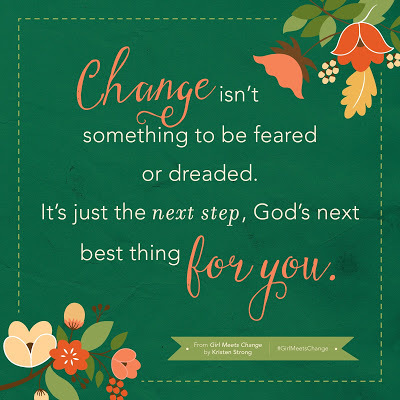 And I’ve seen evidence that God has used Kristen’s words to change my perspective of change. 224 pages. Published by Revell Books. Learn more at the book’s lovely website. ABOUT THE AUTHOR :: Kristen Strong is a popular blogger at Chasing Blue Skies and DaySpring’s (in)courage, as well as a writer whose work has appeared in MOMSense and Family Fun magazines. She and her husband, David, have three children. Together this military family has zig-zagged across the country (and one ocean!) several times, and they currently live in Colorado Springs, Colorado. Follow her on Facebook, Twitter and Instagram.